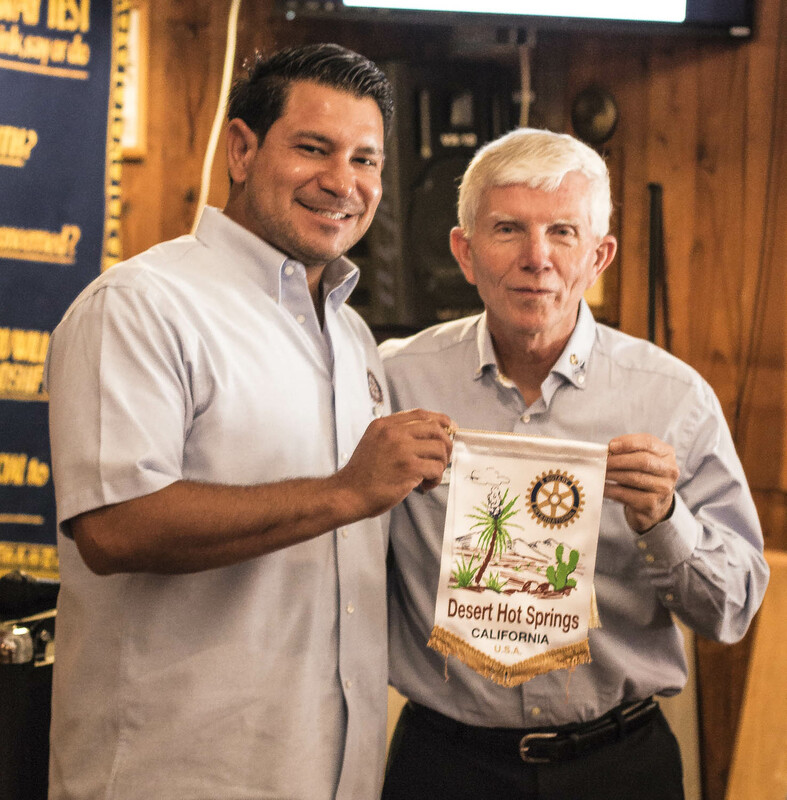 Ricardo Loretta of the Rotary Club Palm Desert was our guest speaker this week, and explained to us how he became ‘reborn’ as a Rotarian. Ricardo discussed how he was a member of a small Rotary club that was not very active in their community thirty years ago, but used his pin to travel to other Rotary clubs to learn more about the club. Once he moved to the desert, he was not involved in Rotary right away until he visited the Palm Desert club, which he enjoyed very much. 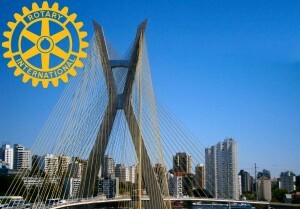 But – what truly made him fall in love with Rotary again was the Rotary International trip to Brazil. 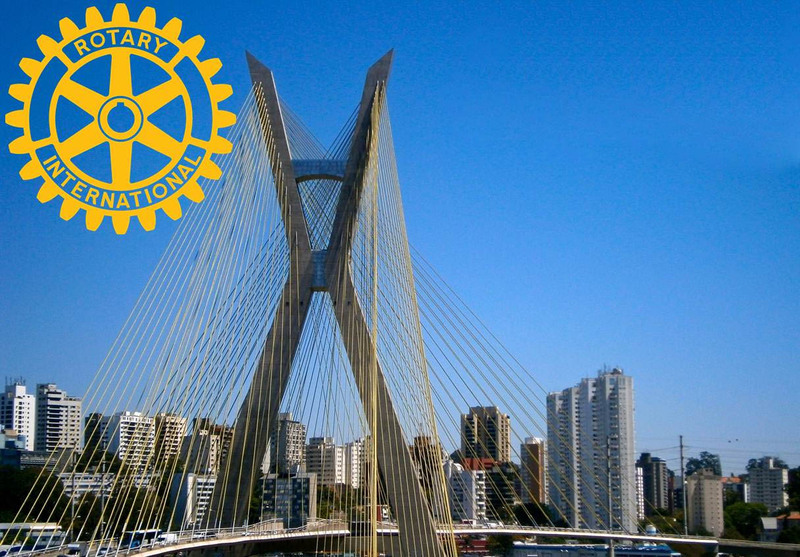 He taught us that Brazil has an interesting connection to the number five… it is the fifth largest country from a demographic standpoint, it the fifth largest country from a population standpoint, and it is the fifth largest country with active Rotary clubs. He was inspired by how many Rotarians came together from around the world who didn’t even speak the same language, of different age groups, and whom were all diverse in overall interests – but all the vested interest of helping people – of “Service Above Self”. The experience made him “reborn” as Rotarian. We at the Desert Hot Springs club home to start our own International Project again shortly. Our New District 5330 Governor – Rudy Westervelt came by for a visit and poses with our Desert Hot Springs Rotary President, Steve Schick. 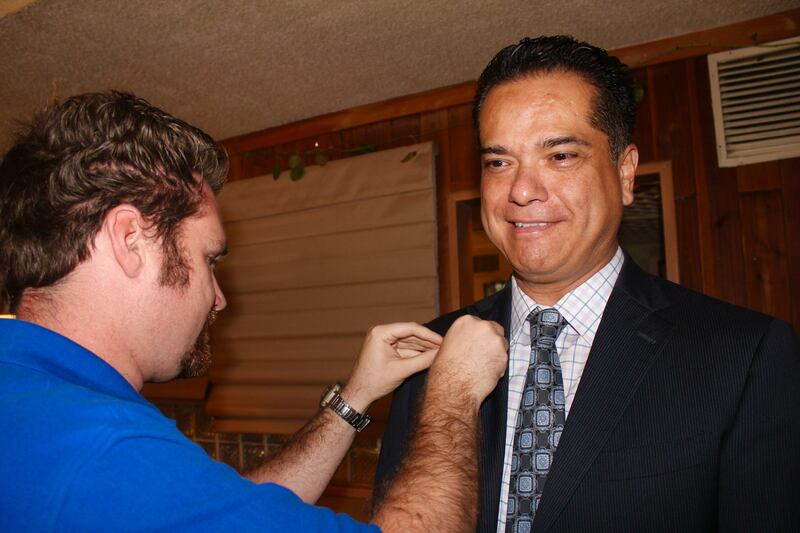 Another fun surprise was the visit from our new District 5330 Governor – Rudy Westervelt. 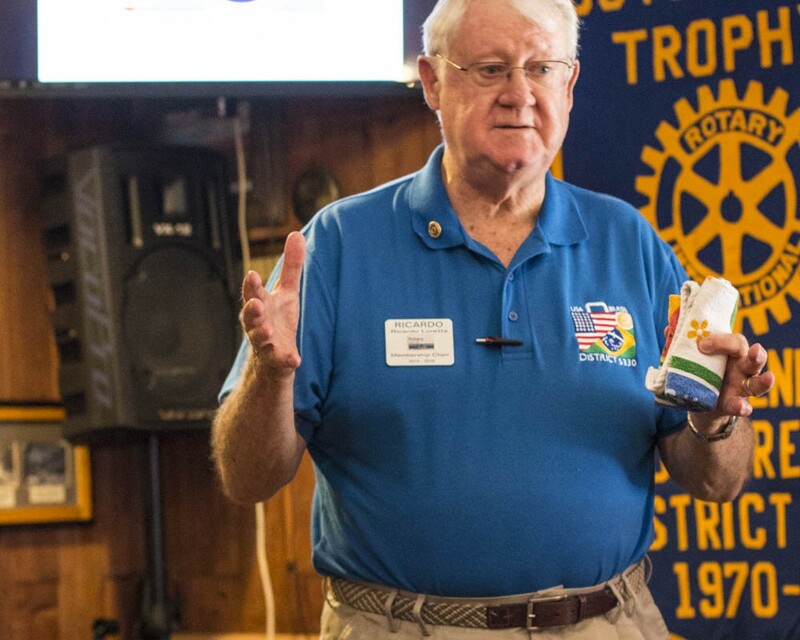 Rudy Westervelt offered great advice to help build our club and how to get more connected with fellow Rotary clubs. 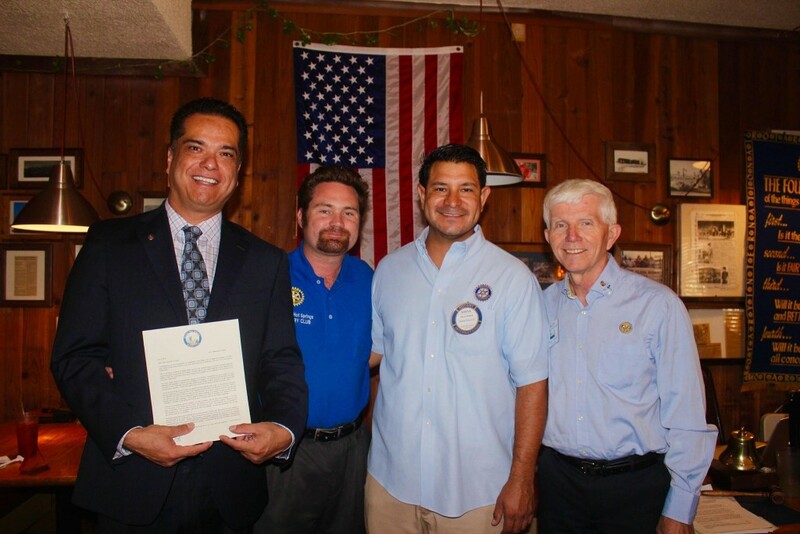 Today we also welcomed a new Rotarian – Scott De La Torre! Scott is a Senior Sales Manager and Community Manager for Phonix Crest by Benchmark Communities, and is a proud Desert Hot Springs resident. 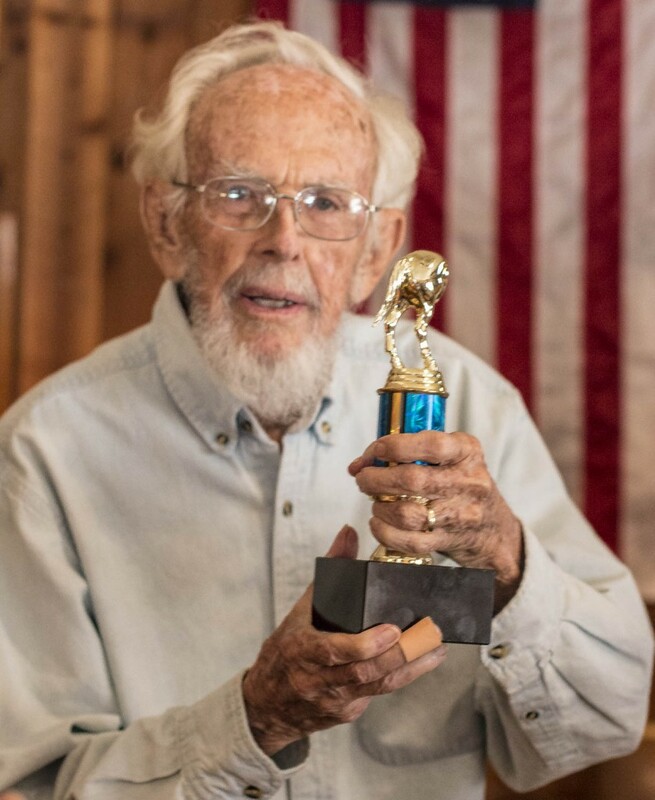 Scott proved himself to be excited to become a Rotarian by being, likely, the best dressed Desert Hot Springs Rotarian in decades. Jack Webb, our Rotarian who just had a city-wide annual day named after him yesterday – simultaneously turning 90 years old – received the first “Jack”-Award from our President, Steve Schick, as his birthday present.